Union of Islamic Iran People Party, National Trust Party, and Neda Party criticized US President Donald Trump in separate statements, and some figures also took a stand against Trump in their Twitter accounts. The main theme of these statements and tweets was that the reformists’ difference with and criticisms of the IRGC and its performance are within the scope of internal disputes; however, when faced with the foreign enemy, all support the armed forces in order to counter what threatens the sovereignty of the country. One of the first figures who condemned the move was Abdollah Ramezanzadeh. He is the former spokesman and secretary of the government of reformist president, Seyyed Mohammad Khatami. Ramezanzadeh was arrested a few hours after the 2009 disputed presidential election. Shortly before his arrest, he released a speech posted on the opposition websites. He was sentenced to 6 years jail. The Union of Islamic Iran People Party also immediately issued a statement on Monday night. “The adventurist measure of the Trump administration is a violation of Iran’s national sovereignty and the international law, and a new effort to exacerbate the crisis in the region and the world. Union of Islamic Iran People Party strongly condemns this measure which is unprecedented in international politics and international law,” it said in a statement. “The Party believes it is a threat against the integrity of the country that expands extremism and terrorism. The all-out support of all political forces and people for the bodies and organisations of the Islamic Republic of Iran is a national, religious, and historical duty. There is no doubt that this unwise act would lead to more national solidarity across Iran and, ultimately, will isolate the bullying administration of Trump,” reads the statement. Another senior reformist who condemned the IRGC blacklisting was Seyyed Mostafa Tajzadeh, a long-time political prisoner and a senior member of the Islamic Iran Participation Front, as well as Mojahedin of the Islamic Revolution of Iran Organisation. Tajzadeh briefly served as Acting Minister of Interior under the Khatami administration. He was also an advisor to President Khatami in his last two years in office. He was one of several leading reformists who filed a lawsuit against several commanders of the Islamic Revolution Guards Corps for their alleged intervention in Iran’s presidential elections in 2009. He was imprisoned at Evin Prison from 2009 until 2016. However, he vehemently slammed the US for its move against IRGC. “I strongly condemn the designation of the IRGC as a terror organisation because Trump’s goal is not to fight terrorism and defend democracy and peace. He wants to put more pressure on the people to destabilise Iran and create more conflicts in the region,” reads his tweet. The Executives of Construction of Iran Party, which is another reformist political party in Iran founded by the technocrat members of the cabinet of former President Akbar Hashemi Rafsanjani in 1996, also slammed Trump’s move. Neda-ye Iranian Party or “Second Generation of Reforms” is a reformist political party in Iran with social democratic leaningsthat held its first congress in 2015. Nedaye Iranian Party in a statement said the IRGC itself has been the victim of terrorism. It said that according to Iran’s Constitution the IRGC is the official military force of the country and the Iranian nation would throw their weight unanimously behind this organisation to prove that the US administration’s move just shows the foolishness of Trumpism. 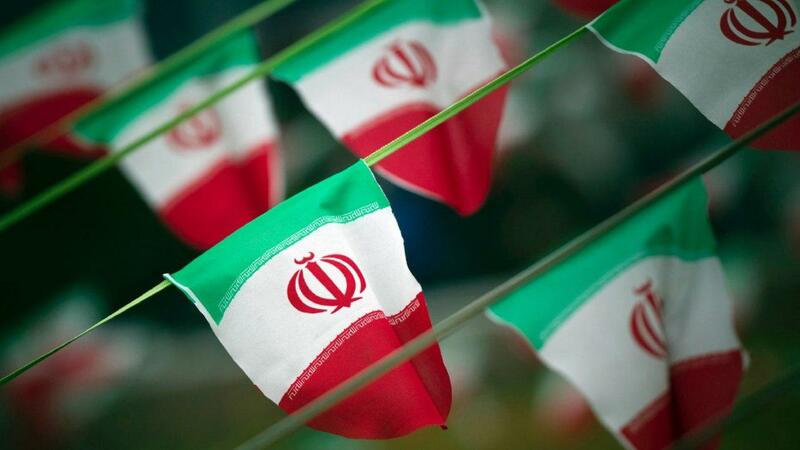 Moreover, the National Trust Party of Iran released a statement saying that the measure by the US government is against the national interests and sovereignty of Iran and is contrary to international law, therefore, it should not be overlooked. “There is no Iranian and no political force in Iran with the least affiliation to this land who would agree with this hostile policy of the United States against Iran. Now it’s an opportunity to distinguish between foes and friends and know the traitors to the country and the people. There are differences among the political forces about the performance of the IRGC in some areas, but it is an internal conflict in the family of revolution that nobody is willing to let foreigners intervene. We defend the military forces of the country, including the Islamic Revolution Guards Corps, as part of the national power and legal authority of the country, and we will not allow the enemies to misuse them against us,” reads the statement. Majid Ansari, an Iranian politician and cleric, who is also a representative to the Assembly of Experts and a member of the Expediency Discernment Council, also condemned labeling of the IRGC as a terrorist group. “This is the first time that the United States government designates a military force as terror group. Diplomats and judiciary should sue the US government, in particular Donald Trump. “Given the popularity of the Basij forces and the fact that this organisation is part of the IRGC, the US government has in fact called the Iranian nation a terrorist nation. Therefore, from a legal point of view, our government and our parliament should deal with their military forces in the region in the same way,” added Ansari.